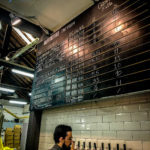 From the depths of the Portuguese recession in 2013 rose not a phoenix, but two crows—Dois Corvos—one of the first craft brewers to succeed in bringing better beer to Lisbon. Launched by husband and wife team Susana Cascais and Scott Steffens, Dois Corvos rejuvenated a warehouse space in the Marvila district of Lisbon. From there, they’ve brought their beer into stores all over Portugal. 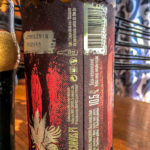 In fact, we first encountered Dois Corvos on the shelves at Jumbo in Cascais—a sure sign that your beer has entered the collective consciousness in the metro area. 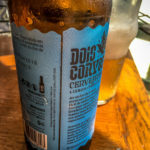 I’ve sampled all of Dois Corvos’ regular line of beers: Avenida Blonde Ale, Metropolitan Pale Ale, Creature American IPA, Matinée Session IPA, Galáxia Milk Stout, and Finisterra Imperial Porter. You can find many of our notes on their general excellence on our Tryanuary 2018 roundup. 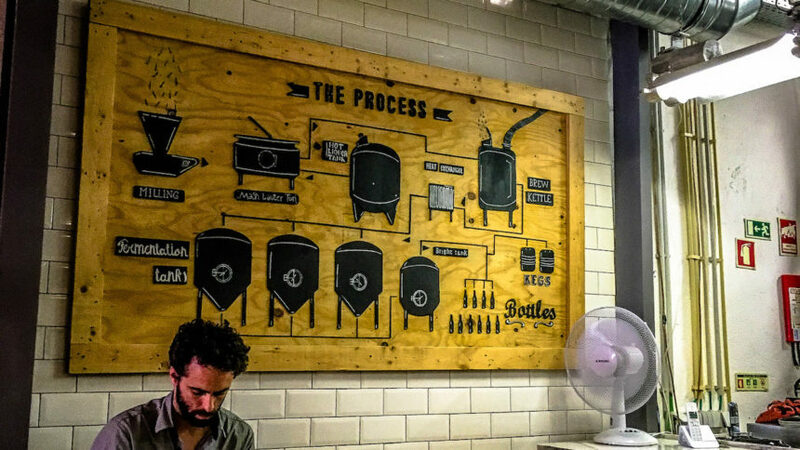 I keep returning to the Finisterra, and I was stoked to find it a favorite on tap at our new local brewpub, Hops & Drops, here in Praia das Maçãs. 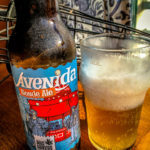 I find the Avenida a refreshing weiss style with lots of plantains and tropical fruit for the warmer months. 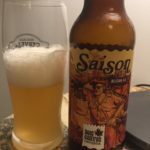 I’ve also enjoyed the Saison, a Belgian ale and part of the periodically brewed Marvila series of Dois Corvos beers. The descriptions sound intriguing, so rest assured I’ll keep an eye open for when they return to the taps. 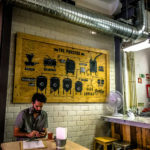 But when a homebrewing friend from Colorado showed up for a visit, it seemed the perfect time to visit the brewery itself—while we’d stumbled past it during the Lisbon Beer District Festa de Reis in January, the crowds prevented us from a real taste. 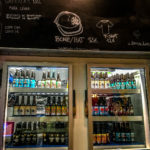 So, in early July we timed our lunch (at a fabulous hole-in-the-wall joint near Santa Appollonia station) so it would end just after the taproom’s opening bell for the day (normally 2 pm local time). 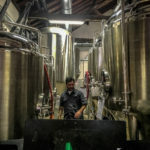 The taproom, while nothing too fussy, hosts comfortable booths and a long bar, behind which the magic happens in the tanks. 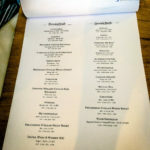 The brewery only gives tours on pre-announced days (check their Facebook for these events or call/email), but we were most interested in tasting anyway. 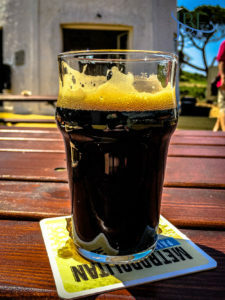 I came in with a mission to taste the Freakshow, an IPA collaboration with Magic Rock in the UK, so I added that to the following paddle: Chihuahua Imperial Stout with Chiles, Cardinales Juciy Kiwi IPA (and collab with Daoravida), Manjerica Blonde Ale (collab with Musa and Lince—also in the neighborhood), and the Tripel Port & Whisky Barrel-Aged. 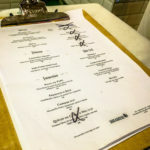 Lots of flavors on that 8-euro lineup, to be sure! The Chihuahua tasted exactly as advertised—a rich Mexican hot chocolate kind of stout with a spicy streak. At 9.5% abv and 35 IBU, it hit the high end of the alcohol scale, but stayed smooth on the palate. The Cardinales smelled to me like the big Sweet Tarts chewy candies that I loved as a kid—more tart than sweet! Lots of fruit and candy on the palate too—but still not sweet. A nice blend at 7.1% abv and 40 IBU. I enjoyed the Manjerica Blonde, and it too evoked its name well: manjerica is “basil” in Portuguese. It tasted much of the summery herb, almost like a margherita pizza on the nose…in a good way. At 5 % abv. The Freakshow IPA, the collab with Magic Rock, was brewed with Cascade and Citra hops, so it met expectations for a West Coast USA-style IPA. Definitely well-made, and at 6.5% abv, it won’t roll you over into the gutter too quickly. The last brew—the Tripel—might if you let yourself get carried away. And that would be easy to do: It reminded me of the tawny port I’d just had to finish my lunch. You can smell the barrel. And at 10.1% abv, it’s best to sip slowly and savor, like a good port. Lovely. 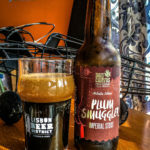 We certainly couldn’t fit in all of the beers we’d like to have tried, so I brought home one more that intrigued me, the Plum Smuggler. An Imperial Stout at 10.5% abv, this was grand to have on Saturday night. A deep dark body with a tan head and light carbonation, matched with coffee overtones, this stout was brewed with smoked plums. They come through, in a measured way—not cloying or sweet, just…smoky. Finally, my pal had brought me several beer gifts from his previous days up in Porto, where he’d traded brews with folks up north. 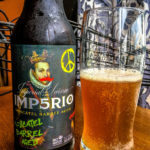 One he left for me: the Imp5rio Imperial Saison, a collaboration between Dois Corvos and Cerveja Letra. 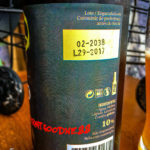 Aged in Port and Moscatel barrels from Quinta do Portal, the beer carries a legend with it of Dom Sebastião, brewing the first Imp5rio in the mists. The brew lives up to the tale, with stone fruits and a bit of funk on the nose, and hints of spice and golden plum on the palate. An unctuous mouthfeel gives way to the snap of the carbonation and bitter orange peel on the back end. A lively one! At 10% abv.